We constantly strive to make a difference in clinical outcomes for the patients by ensuring that we have highly qualified & experienced team along with the latest technology/technique to deliver outstanding clinical outcomes. The facilities at AINU combine state-of-the-art amenities and world-class service standards. 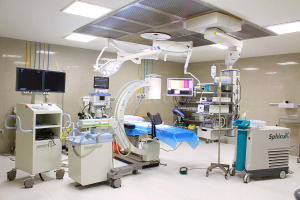 It has 100 beds, 3 operating rooms equipped with state-of-the-art equipment, a 9-Bedded Surgical ICU, a 3-Bedded Day Care Ward, 15-Bedded Hemodialysis Unit and Comprehensive diagnostics support facilities. AINU is a world-class, single-specialty, renal sciences hospital in Hyderabad. It was established in the year 2013. 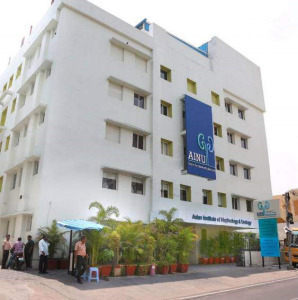 AINU is among the few urology and nephrology-focused tertiary care hospitals in South India, offering a full suite of medical and surgical services, day care services and supporting services. It is one of the youngest hospitals in the country to achieve NABH accreditation, within two years from its inception.